Today I wanted to get more familiar with the Condesa neighborhood where I am staying. 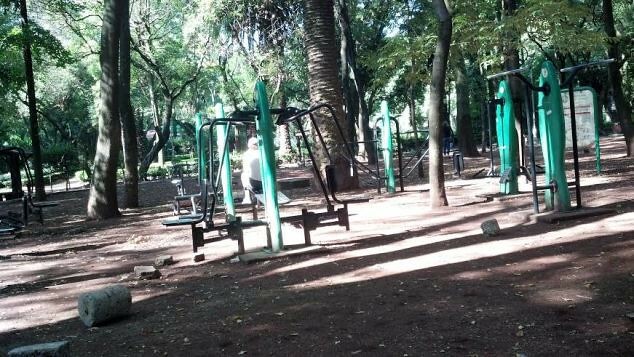 I took a stroll through El Parque México. 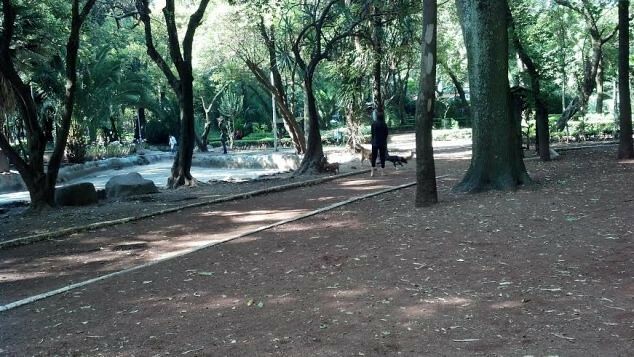 This urban park is full of exotic trees and is the center of Colonia Condesa. 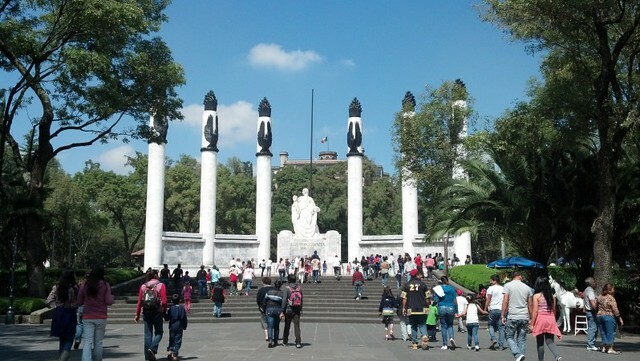 From the park, I walked to El Bosque de Chapultepec. According to their website, the word Chapultepec means “Hill of the Grasshopper.” The Aztecs considered them sacred with supernatural powers. On my way home I stopped at the grocery store to buy food for the week. I made my first error in Spanish at the deli counter and ended up with WAY more turkey than I could have ever wanted. Oh well! I came back to find the hostel host cooking something INTERESTING in the kitchen. He said it was rice and potatoes with cilantro and chiles. The hosts name is Ale and he’s from Spain. He thinks I am a cool chick, since I’m the first Megan he’s ever met in person. He has only heard of Megan Fox. Hah. I made a sandwich and went into our living room to work on homework for the afternoon. I completed a 5 hour grammar course courtesy of Cambridge English in preparation for the CELTA course. Tomorrow is Day 1. Hopefully everything goes well!